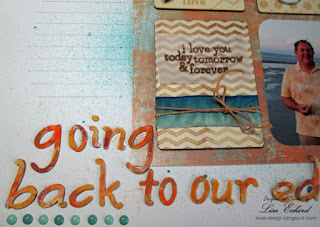 Continuing along using some of my scrapbooking stash, I did this page that is more about the future than the past. We go to Hilton Head Island each year sometimes spring, sometimes early fall. This year we couldn't make it there in the spring so it will have to be later in the year. For the page, I used some of those Prima wood ATC cards in a 2x2 grid. 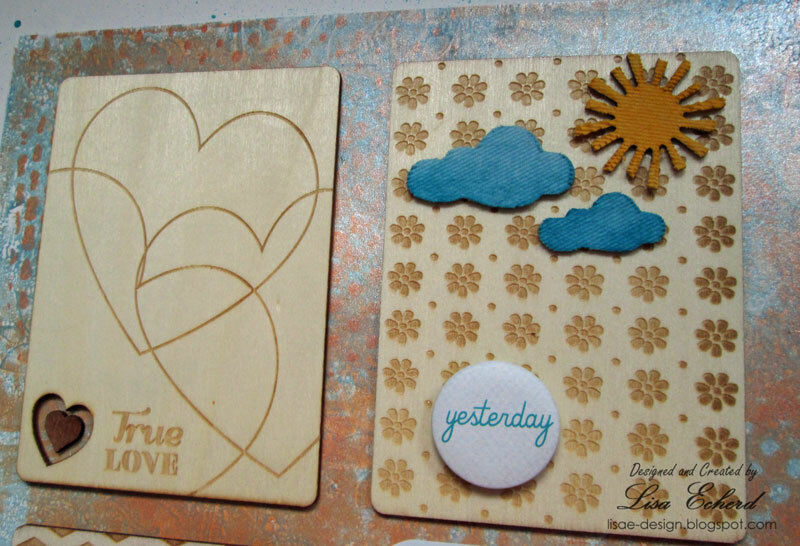 These cards are approximately 3" x 4" so you could make the same arrangement with Project Life cards. 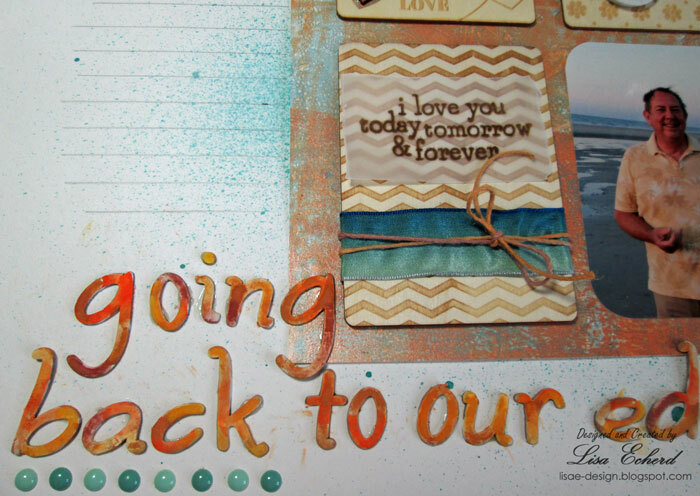 I also got to use some flair and a lot of these cute Maya Road raw chipboard letters. I just didn't like the packaging as it made it really hard to know what letters I had already used. So I used up a bunch of them and painted them with watercolors. Great LO Lisa. 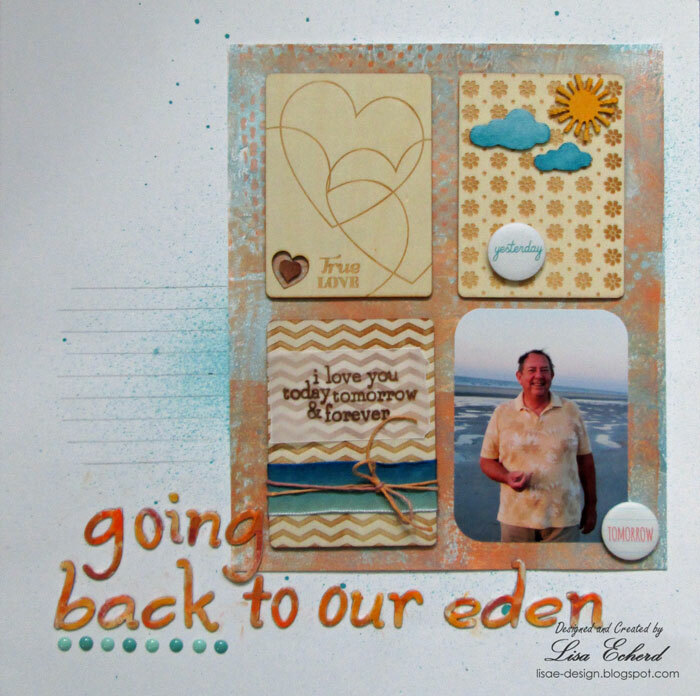 I really like how you used those wooden pieces to make a grid with your photo. 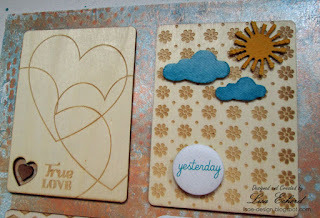 And thanks for the tip on paining the chipboard with gesso first. I love the finished water colour effect on both the letters and the mistables too. Thanks for the honesty in talking about how using markers on the wood didn't work. Good on you for getting so much from your summer fun box used up!